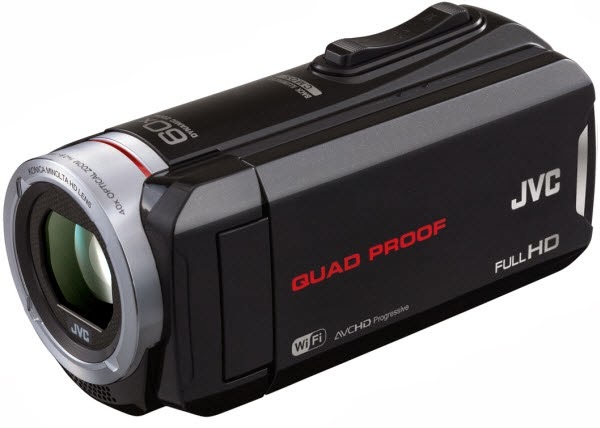 If you want to edit 60p AVCHD .mts files shot by JVC GZ-R70 smoothly in iMovie/FCE, here is right for you. Go to following article to get the instruction. JVCs two new cameras GZ-R70 and GZ-R10 bring action-camera-durability to the traditional camera form factor. Like the aging action star, these show promise of no excuse good video. The two models both are dust-proof, water resistant to 5 m (16.4 ft), drop-proof from a height of 1.5 m (4.9 ft) and freeze-proof to temperatures as low as -10° C (14° F), which are designed for professional photographer. For the GZ-R70 is capable of recording 1920x1080/60p high definition recording, which is hard for iMovie/FCE to recognize or read well. In order to make the AVCHD videos from JVC GZ-R70 compatible with Mac, the easy workaround is to convert the 60p mts files. For this purpose, this article mainly shows you how to transcode JVC GZ-R70 60p MTS videos for editing in iMovie/FCE in detail. Mac Mavericks 10.9 supported. At first, we recommend you to choose a top MTS to AIC Converter for mac that is specific on converting 1080/60p mts/m2ts files from JVC GZ-R70 for iMovie or FCE editing. 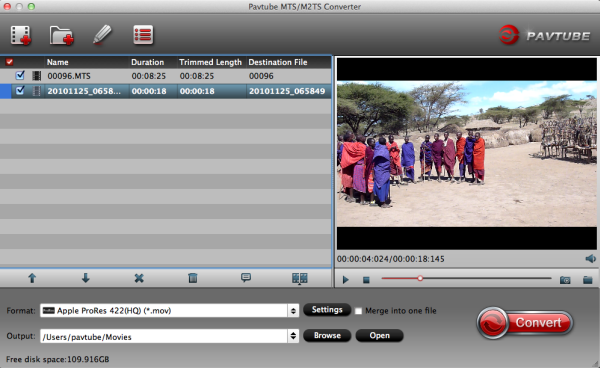 Pavtube MTS/M2TS Converter for Mac works as the companion for your camcorder AVCHD videos to convert any kinds of .mts/.m2t videos to your Mac Editor, like FCP, iMovie, FCE, Avid Media Composer, Premiere Pro, etc for editing. Just try Mac JVC MTS converter and follow the guide below. Step 1: Install the top MTS/M2TS Converter for Mac on your Mac OS X, and run it to import your JVC GZ-R70 1080/60p MTS footages to it. Step 3: Click the “Settings” icon on the main interface and you’d better set the video size as 1920*1080, video frame rate as 30fps(or 25fps PAL) for importing JVC GZ-R70 1080/60p MTS to iMovie/FCE with the best quality. Step 4: Click the "Convert" button on main interface to start converting JVC GZ-R70 1080/60p MTS clips to AIC video immediately. After the JVC MTS to AIC Converter finished transcoding, you can run the iMovie/FCE to import the converted files and you can edit JVC GZ-R70 1080/60p MTS in iMovie/FCE without any rendering or incompatibility problem.